$20.99 This may be in stock for quick delivery; please call! Avoid accidents by using Fender Strap Locks. 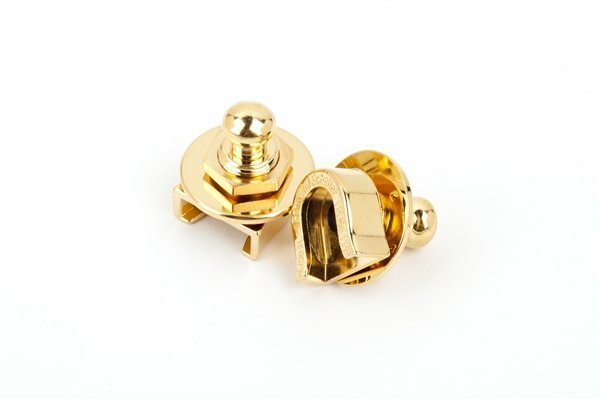 Special strap buttons for the guitar and special locks for the strap keep your favorite guitar or bass safe and secure. Available in chrome and gold. Chrome kit includes two strap locks, two buttons, two mounting screws and felt washers. Gold kit contains strap locks only (no buttons or mounting hardware).